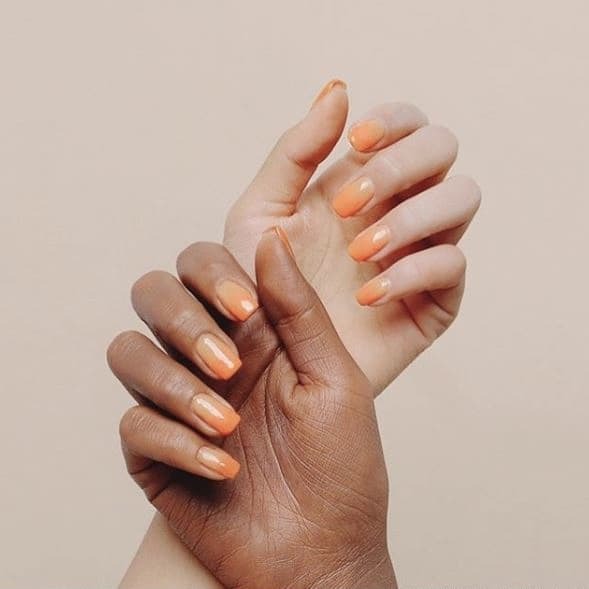 The South Korean makeup brand Stylenanda has come under fire for a photo they posted promoting one of their nail polishes. Twitter users called out the brand after many discovered that the models' hands being used in the ad looked off. What appears to be two hands posing together wearing the same nail polish is actually so much more, and it's handfuls of cringe. I don't know how they didn't think we would let this slide. People quickly started pulling out their magnifying glasses because something didn't look quite right. Twitter users suspected that they had darkened one of the models' hands to make it appear as if it belonged to a woman of color. The reason that people suspected photo editing is that it wouldn't make sense for the model's palm to be completely black. Palms and soles are generally lighter than the rest of the body since they have extra layers of skin. Someone came in with a very plausible explanation, and they commented on the terrible editing of the photos. A lot of work went into this ad when all they had to do was the right thing. People were not at all impressed with the brand's decision to darken a model's hand. If they wanted to promote their product using a black model, then they really should have used a black model. Women of color were even checking their own hands to make sure this fail was, in fact, real. Another Twitter user asked, "Is that hand wearing blackface?" and this shouldn't even be a question that needs to be asked. Seriously. The company eventually removed the photos from their site and posted an apology on their Instagram page. They probably could have specifically commented on the mistake, but at least they apologized. Let's all just agree that this entire ad just gave us a contagious case of the "Nopes." Perhaps they'll check themselves before they wreck themselves next time.